Arriving on August 30, 2018 for the Nintendo Switch, Chiki-Chiki Boxy Racers looks insane – in a good way. Up to eight players can drive around any of the 15 tracks to see who can come in first. A variety of game modes will keep things fresh. Check out the trailer and official press release below! Chiki-Chiki Boxy Racers, the colorful slot car racing party game from Sony publishing label UNTIES and Pocket for up to eight players online or locally, brings all-ages fun speeding onto the Nintendo Switch Aug. 30. The race for number one doesn’t always take place on the track. 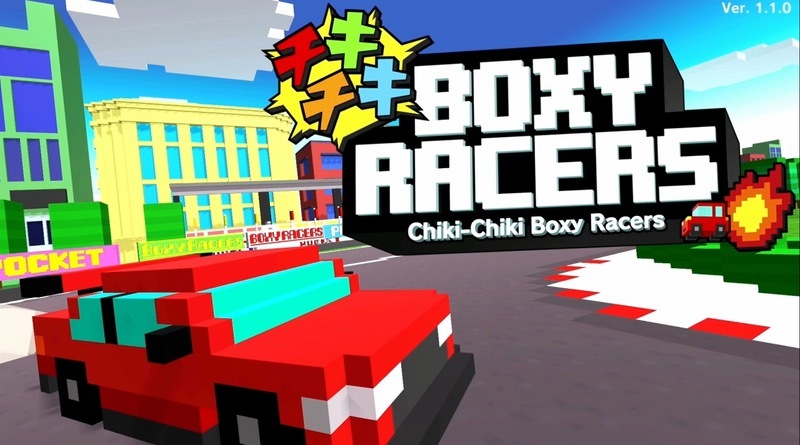 Chiki-Chiki Boxy Racersfeatures four competitive battle modes that test driving skills in more creative ways. Zip across the arena to collect the most gold in Coins or crush the greatest number of boxes in Smash. Race to cover the arena with your color in Paint or play Goal, a game of soccer on wheels.